The revised Volkswagen Caddy range has been expaned with the launch of the passenger-carrying Caddy Life and Caddy Maxi kombi which are both now on sale at Volkswagen Van Centres in the UK. Both models are fitted with the efficient 1.6-litre TDI engine which produces 102bhp and is mated to a five-speed manual gearbox, while a seven-speed DSG transmission is available as an option. The four-cylinder common rail diesel engine averages a claimed 49.6mpg and 149g/km of CO2 with both transmissions. Prices for the five-seat Caddy Life, start at £19,415 on the road while the Caddy Maxi kombi is available from £14,450 plus VAT. The Caddy forms the basis for the Caddy Life and it gets a comprehensive list of standard equipment including ‘Climatic' air conditioning, RCD 310 CD stereo, body-coloured bumpers, door handles and exterior mirrors and black roof rails. New 15-inch ‘Kemora' alloy wheels are also fitted as standard. 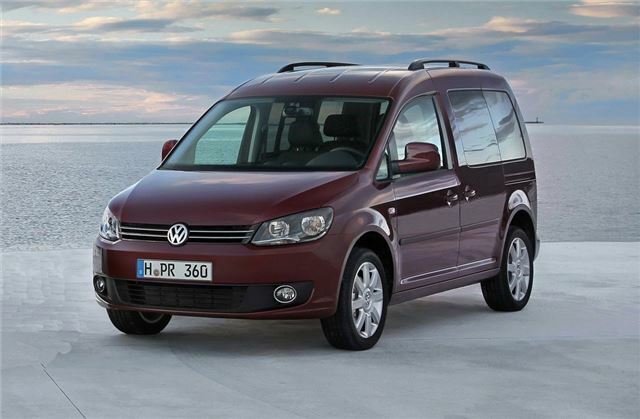 The Caddy Maxi kombi adds additional versatility with a removable three-seat bench. The rear load area, fitted with durable rubber flooring, has a capacity of 1.6m3 with the additional bench seat in place, increasing to 3.9m3 with the rear seats folded, up to a maximum load capacity of 4.1m3 with these removed. These new additions to the Caddy line-up boast a comprehensive list of safety equipment. The latest generation Electronic Stabilisation Programme (ESP) incorporating Anti-lock Braking System (ABS), Electronic Differential Lock (EDL), Traction Control System (TCS) and Motor Slip Regulation (MSR) that prevents wheels from slipping when there is excessive engine braking on low-grip surfaces, are all fitted as standard.